Heathrow and Gatwick might be the most famous airports in Britain’s capital city — but that doesn’t necessarily mean they’re the best. Luton might be smaller, but still carried 15.8 million passengers on exciting holidays and crucial business trips last year. So if you’re looking for a departure from the norm with food, shopping and fantastic destinations, here are four reasons to fly from London Luton Airport. If your aim is an affordable getaway from the South East, Luton can connect you to some stunning destinations. Portugal’s Algarve features beautiful beaches, fine seafood and great golf courses — something for the whole family. And Corfu offers dramatic hillside views of the azure Mediterranean, busy bars and chilled-out cafes. But Croatia’s Dubrovnik brings visitors something a little different — a visit to this beautiful baroque walled city perched on top of the delightful Dalmatian Coast is a refreshing eye-opener. Getting to the airport is easy for travellers from across England. 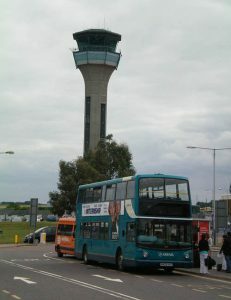 A regular airport shuttle bus to Luton station connects links rail travellers to Bedford, Sheffield and Derby to the north and St Pancras International and Brighton in the south. But if you’re travelling by car, Luton airport parking for holidaymakers is affordable and easy to book online — and it’s only half an hour’s drive from central London. And because it’s less busy than larger airports, the whole experience of arriving and checking in is usually less hectic and more manageable. A good choice of pre-flight food is important — especially for parents with restless kids. And there are plenty of cuisine choices at Luton to satisfy different tastes. Before security, you can tuck into a Burger King, sample some bangers from The Great British Sausage Company, or simply sip a smooth coffee from Starbucks. And once you’ve passed through to airside, meals and refreshments are on offer from famous brands like Frankie & Benny’s, Pret A Manger and Bella Italia. With any luck, a satisfying meal will help you hit the hay after take-off and wake up in your dream destination. If you’re shopping for gifts for friends and family, or just spoiling yourself, there’s something to match every taste and budget here. You can snap up a pair of niche shades at Sunglass Hut, pick up slinky lingerie at Victoria’s Secret or splash out on shoes and accessories at Kirk Geiger. And when you wander through Ailea Duty Free, make time for a beauty consultation from your favourite brand or relax and unwind with a hand and arm massage from Jo Malone London. With all of these attractions, it’s easy to get into holiday mode as soon as you arrive and waiting for your flight to board is more of a pleasure than a pain. 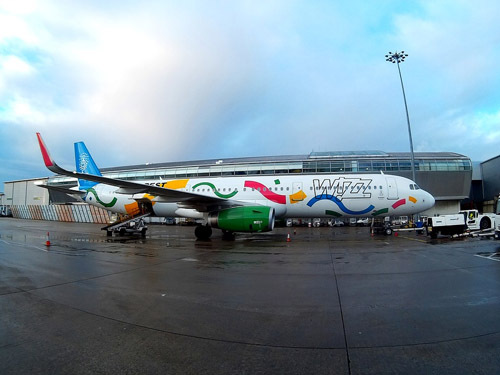 These four reasons to fly from London Luton Airport prove that when it comes to air travel, small can be beautiful. What’s your favourite London airport? Share your thoughts in the comments section.